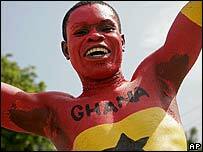 Comments Off on Happy birthday Ghana! 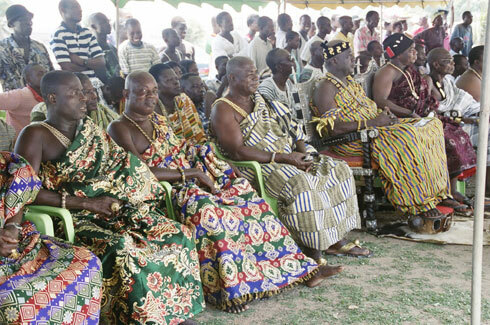 Ghana @ 50: a leading light? The oldest independent nation in Africa, Ghana is – in my not very important opinion – a model for the rest of the continent to follow. A sound leadership, but backed by tangible credible democracy, and because of that a strong economy. And best of all, peace. Whatever people say about the “gentle giant” John Kufour, he’s helped lead Ghana into an enviable lack of violence, discrimination or intimidation. And that’s in spite of sitting between two rather less peaceful neighbours – Togo and Cote D’Ivoire – and the ramblings of the old dictator Jerry Rawlings, who it still amazes me gets at least one newspaper front page a week. And this is backed up by some promising figures. There’s been strong improvements in the business climate, political stability and press freedom. Inflation’s decreased from 40% to 10% and the economy’s growing by around 6% a year, compared to 4% over the past 20 years. Poverty’s down to 33.4%, from nearly 40% in 2000 and over fifty percent in 1990. 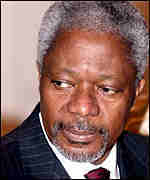 Ghana may be able to halve poverty by 2015. That would be a phenomenal acheivement – even Britain’s pretty poor on poverty, especially among children. 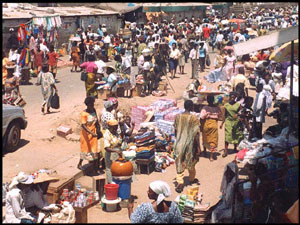 The World Bank says it thinks the chances of Ghana becoming a middle-class country in the next few years as “high”. That, I think, is down to the reasons above, but also many others. Not least the fact people in Ghana seem pretty unhappy unless they’re aiming big and changes are happening. Check this article from BBC News’ Alexis Akwagyiram in Accra. It’s a report about a debate held between a government minister Frank Agyekum and a group of young Ghanaians. “Despite the air conditioning,” Alexis writes, “the minister is sweating”. …there are some country’s where that kind of behaviour gets you in trouble. The crowd were worried most about corruption and I seem to remember from my time in Ghana that was a problem – but tiny compared to corruption in Burkina Faso and Mali. There are 25 heads of state plus delegates from 60 countries arriving for tomorrows jubilee celebrations. 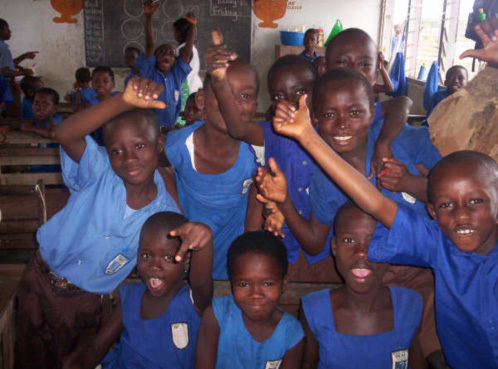 And I hope everyone else joins in as well…Ghana has a lot to celebrate!